Chandra Babu government, which brought up many changes in public transport system which is lead by APSRTC is now planning to bring up more comforts to its people. The government has moved up its level best in reforming and attaching new decorations to all main bus stations in state. The PNBS, mian bus stand in Vijayawada can be taken as best example for this. The bus stand has changed its view completely and cant even be compared to the previous. The governemnt has started to bring up new buses for more comfort and luxirious travelling of its citizens. 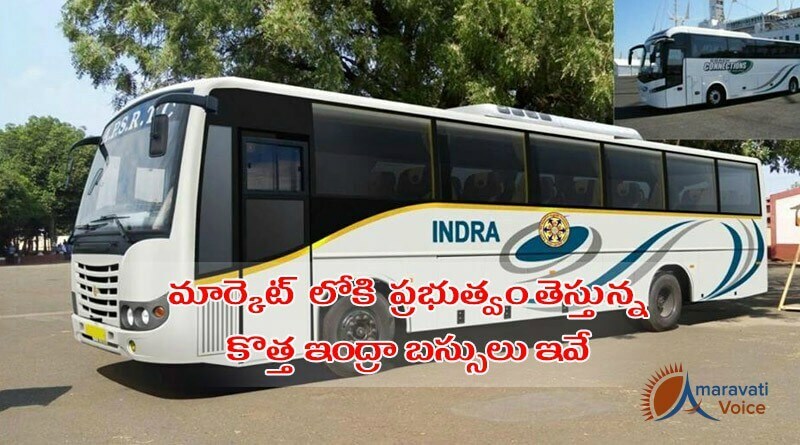 Till date government has launched buses with different names like Amaravathi, Ultra deluxe and others which have their own importance and comforts. Now, the governmnet has made a step further by launching a new ersion of INDRA buses which are more comfortable and luxurious than any other in state. The features and facilities will surely make people surprised and feel more comfort said the offcials. have a look at below picture to known how the new INDRA looks like.